The Tiffon Tres Vieille Reserve Grande Champagne Cognac is, as its name suggests, created purely from eaux-de-vies grown in the premier growing region - Grande Champagne. This is an old reserve cognac made from rare and delicate cogbnacs that have been allowed to age to perfection, before being carefully crafted by Tiffon's Cellar Master into a spectacular product. 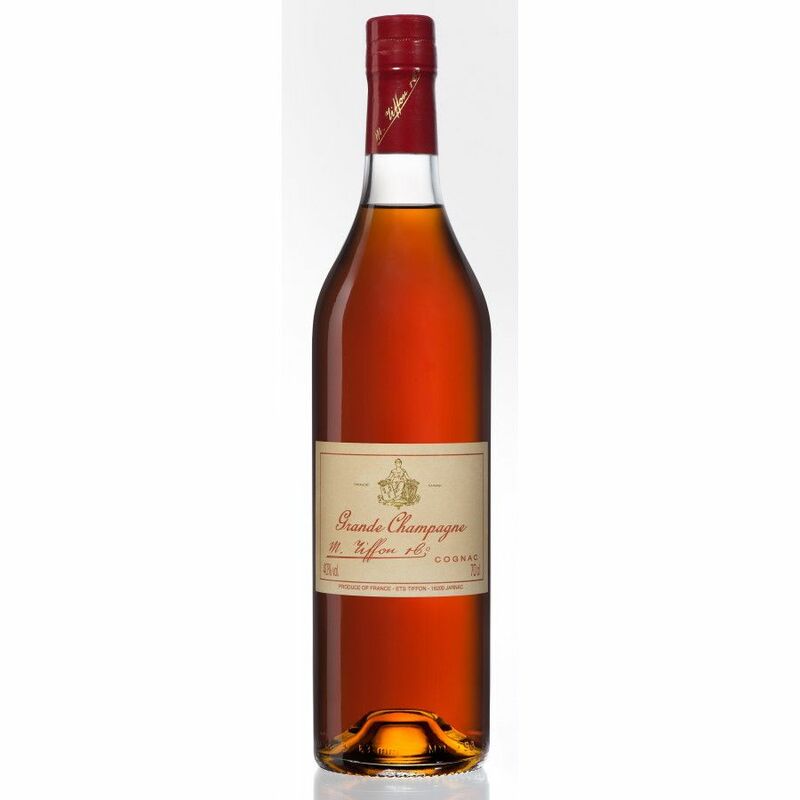 Some of the eaux-de-vie within the blend have been aged for almost 100 years, and the blend has created a magnificent cognac with all the complexity, smoothness, and quality you'd expect from such a product. For both the connoiseur and the newcomer to cognac, there's no mistaking the richness, softness, and sophistication of the delightful drink. From it's wonderful dark color, delightful aromas, and every complex palate - not to mention a gentle rancio - the cognac then further delights with a spectacular aftertaste.